I'm a bad coder but I am getting a better, I'm hoping my new project scratchnite will be good. 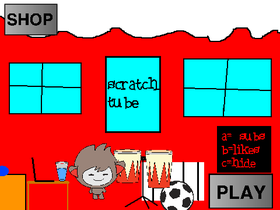 I'm going to be working on, scratchnite I will still be supporting scratchtube. REMIXED STUDIO! ADD YOUR REMIXED PROJECTS!!!! Make your own character and put it here!